This information is intended to provide an "introduction" to the various areas of the Vail Valley. Let your REALTOR know your parameters (number bedrooms, baths, price range, area, amenities, etc) and they can help you to locate the perfect area and property among ALL those currently available in the Vail Board of REALTORS Multiple Listing Service. Be sure to pick a professional, full-time REALTOR and not just a Real Estate Sales Agent. A REALTOR has access to all the properties in the Multiple Listing Service and can therefore provide you with the greatest number of options for homes that match your criteria. Interview 2-3 REALTORS, preferably in person, but at least by mail/email. Determine their experience, education and service philosophy. Do they know the entire area? What kind of support staff do they have? Do they have an online brochure so you can read up on their qualifications. What do their clients have to say about their service and knowledge? Ask your REALTOR about the Colorado Real Estate Commission's requirement to disclose Agency relationships with potential buyers. Berkshire Hathaway, led by Warren Buffett, acquired the majority stake of Prudential Real Estate from Brookfield in October of 2012. Since then we have been preparing for a game-changing shift in the real estate marketplace not just locally here in the valley, but on a global level. 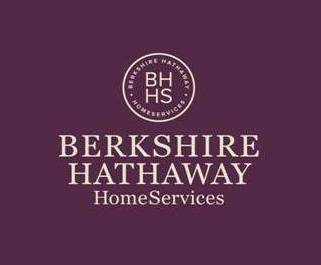 Recognized by Barron's as the most respected company in the world, Berkshire Hathaway has the reputation, integrity, financial resources and reach to launch our real estate brand. For buyers, sellers, and the brokers this is an exciting time - and we are just getting started. In the coming months there will be much to share, for now it is business as usual as we work through this very busy time in our season. If you have any questions about the transition, please contact us any time. You will be asked to provide earnest money when you submit a contract to buy property. This will be returned to you if you cannot come to terms with the seller on purchase price or terms; it will be applied to the purchase price when the deal closes. If you are financing the purchase, expect to pay 20% of the purchase price at closing and $300-500 for an appraisal of the property. At closing there will be other charges associated with the mortgage so ask the lending company for an "estimated settlement sheet". You will want a physical inspection of the property to help insure against damage or potential problems that may not be obvious to you during your property visits; expect to pay $300-400, but this could be more for large homes. In some areas there is a transfer tax imposed by the local government - how much is it and who is going to pay for this? Are there condo dues and/or homeowner association dues? If you are a second-homeowner, who will manage your property while you are absent? At what cost? Do you want to rent you property, short term or long term, when you are not using it to help offset the costs of ownership? What are the commissions paid to the rental office? What are the cleaning costs? What is the real estate market like today? Your REALTOR will provide you with complete information on this question. 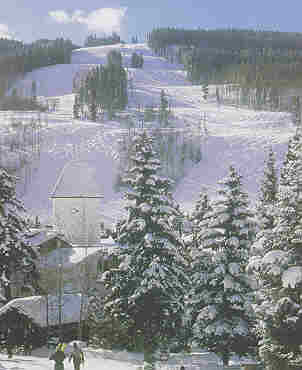 You can also view this website's market reports for many of the Vail Valley areas to see the sales for the recent past. There is a history of sales and listings that gives your REALTOR an excellent idea of what the market is today. Your REALTOR will act as an intermediary between you and the sellers agent so that negotiations are tempered with local market knowledge and separation of personalities. Ask your REALTOR for a wealth of local market knowledge.